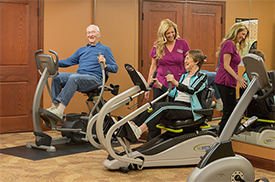 At Southview Senior Communities, no two residents are exactly alike. We understand that everyone comes to us with their own story, unique history, and individual interests and needs. 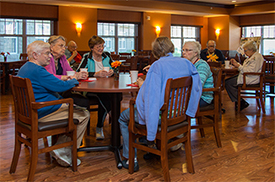 As a family owned company, it is important to us to create a welcoming environment that helps our residents feel right at home. Better yet, home with a few added perks. With a focus on community, family and lifestyle, we offer an active social calendar with activities planned 7-days a week. 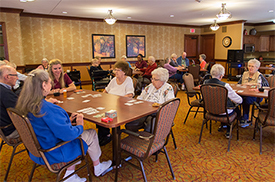 From exercise classes to sing-alongs, our residents keep busy and connected in each of our communities. 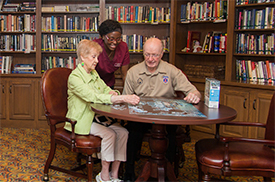 We also recognize the changing needs of our seniors and tailor activities to each level of care. Enjoy all the comforts of home and then some. 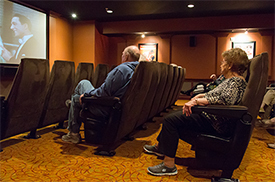 Each of our communities offer onsite amenities such as a fitness center, media center, library, movie theater, salon and more. These amenities are designed with independence, entertainment and interaction in mind. Leave the cooking to us. Our talented chefs prepare delicious, daily meals that include fresh fruits and vegetables and warm, comfort foods. With a focus on dietary restrictions and food sensitives, our caring staff and culinary team work to provide the best dining and nutritional options. 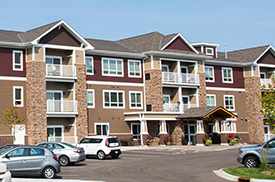 We invite you to tour our locations to find the community best suited for you.